Decorate your chocolate desserts with a fun shape. Print and cut out these shapes with scissors. Set the shape on the dessert. Sift confectioner’s sugar over the top. Carefully remove the stencil with a toothpick — and the sugar shape will magically appear! Add this to the brownies or chocolate cake that we suggest in our “Bake Sale Ideas” post. If you’re a fan of hearts, here’s one of our fave recipes – Egg-in-a-heart breakfast! 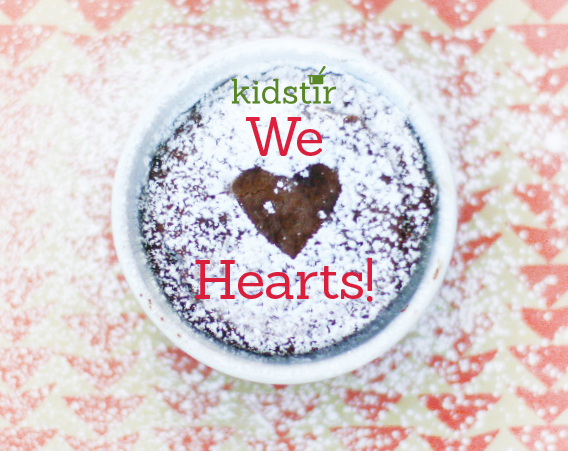 Don’t miss the “We Heart Dinner” cooking kit, you’ll love it!